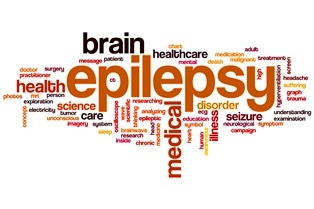 How often is epilepsy misdiagnosed for other conditions? Unfortunately, epilepsy is often confused for other conditions, and may not be correctly diagnosed for months or years after the first seizure. Other seizure disorders. A patient who is suffering from diabetes or a high fever may suffer seizures as a result, but these conditions are not considered epilepsy. Migraines. Patients who suffer chronic, severe headaches have many symptoms in common with epileptics, including dizziness, vomiting, distraction, and seeing an “aura” before an episode. Brain inflammation. Two common forms of swelling that can result in seizures are encephalitis (inflammation of the brain) and meningitis (inflammation of the spinal cord). Sleep disorders. People who suffer from sleep apnea, insomnia, narcolepsy, sleepwalking, or chronic muscle spasms while asleep may exhibit lack of attention or loss of consciousness during the day, common in epileptic patients. Movement disorders. Some patients who suffer from motor problems or involuntary muscle contractions are incorrectly diagnosed as suffering from seizures. Eclampsia. Pregnant women diagnosed with preeclampsia have high blood pressure problems. This condition is often a precursor to a far more serious concern, eclampsia, when the mother suffers seizures. If treated correctly, women experiencing eclampsia won't have any future episodes after the baby is delivered. Brain and psychological trauma. Isolated seizures may occur in patients with head injuries, while behavioral changes are common in those suffering from post-traumatic stress disorder (PTSD). If you're accurately diagnosed with epilepsy and unable to work due to complications from the disease, our attorneys can help you get the Social Security benefits you deserve. Call us today or fill out the form on this page to set up your consultation with a Social Security attorney. What are the most common symptoms and causes of epilepsy? Epilepsy is more than just suffering seizures. While many people may experience an isolated seizure episode, epileptics suffer from recurrent seizures that can happen at any time, often without warning. This chronic condition causes a sudden flurry of electrical activity in the brain, resulting in behavioral, sensory, or perception changes. The problems caused by epilepsy, as well as its unpredictable nature, often make it difficult for patients to earn a sustainable living. The symptoms of epilepsy often vary from patient to patient. Some patients can experience minor seizures without realizing it, and may simply think that they “zoned out” for a few moments. In major seizures, patients may perform repetitive movements, lose consciousness, or suffer muscle spasms. Afterward, patients often report having no memory of the episode, and may report changes in smells, sight, hearing, and taste for hours afterward. Genetics. People who haven't suffered any external conditions that may result in seizures may have a hereditary form of epilepsy caused by the development or interaction of their genes. Infections. An infection in the spinal cord or in the brain itself may result in epilepsy. A person who suffers a high fever or a condition that leaves scarring on the brain is at risk of experiencing seizures in the future. Head injuries. Severe head injuries may cause epilepsy, such as shaken baby syndrome or trauma from a car accident or fall. Brain damage. Strokes, tumors, hypoxia, drug use, Alzheimer’s disease, and other conditions that damage the structures or blood supply in the brain are likely to result in seizures. While there's currently no cure for epilepsy, patients may be successfully treated with anticonvulsant medications. If seizures are the result of a tumor, hemorrhaging in the brain, or some other abnormality, a patient may need surgery to treat the underlying cause of epilepsy. In many cases, patients will be severely limited in their employment options due to the effects of their conditions. If you're unable to work due to epilepsy complications, our attorneys can help you get the Social Security benefits you deserve. Call us today, or fill out the form on this page to set up your consultation with a Social Security attorney. Can I get workers' comp if I suffered a fall on the job? A slip and fall accident can cause minor bumps and bruises, or it can mean the loss of months of work as a victim recovers. As these are some of the most common accidents that happen in the workplace, it makes sense that slip and fall injuries are covered by workers compensation. Unfortunately, some employees may file for benefits only to be denied based on exceptions in the workers’ compensation law. 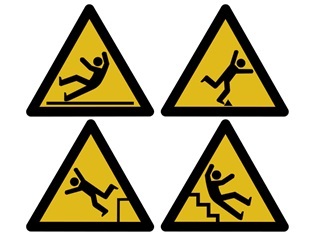 When Will Workers' Compensation Cover a Slip or Fall Injury? In most cases, any injury sustained by an employee while he or she was doing a work-related task will qualify for workers’ compensation. In addition, any conditions that arise from a work-related injury, such as depression, will be covered under workers’ compensation. Horseplay. Workers’ comp is a form of no-fault insurance, so employees can still get benefits if they're partly at fault. However, any injury involving horseplay—such as having a race around a warehouse—is not automatically covered by workers’ compensation. Intoxication. If you're under the influence of drugs or alcohol at the time of your injury, your employer may not be liable for covering the costs of the accident. Commuting. Most injuries incurred while going to or coming from work aren't covered by workers' compensation, but there are a few exceptions. For example, injuries that occur on a business trip or during a work-related errand may be covered, as are slip-and-falls that occur in the company parking lot as you leave or arrive for work. Breaks. In most cases, injuries that occur on lunch breaks aren't covered. But if you slipped in the company cafeteria or were picking up lunch for several other people, you may be able to collect benefits. You'll likely be able to collect compensation if you can prove that your injury occurred as a result of a work-related activity. The attorneys at Johnson & Gilbert, P.A. can listen to the details of your case and investigate the connection between your injury and your employment. Contact us today by filling out the quick contact form on this page, or order your free copy of our book, It’s Not Rocket Science, It’s Workers’ Comp, to learn more about your employee rights. How are Social Security disability benefits paid? If you're one of thousands of people waiting for your Social Security (SS) disability benefits to be approved, you may be wondering how quickly you'll be paid after your application is accepted. While there's typically a wait time between approval and the first payment, claimants can get their benefits a little faster now that the United States Treasury Department pays federal benefits through electronic deposit. In the past, beneficiaries received paper benefit checks in the mail or picked them up at the nearest SS office. As of 2013, federal law requires anyone who receives government benefits, including SS disability benefits, to accept payments electronically through direct deposit to a financial institution. credit union account, or a prepaid credit card each month. While direct deposit is required in most circumstances, there are some instances where beneficiaries may be able to receive paper checks. These exceptions are rarely granted, and must be requested by completing an official waiver from the Social Security Administration. Live in a remote area where banking institutions don't offer adequate direct deposit payment options. 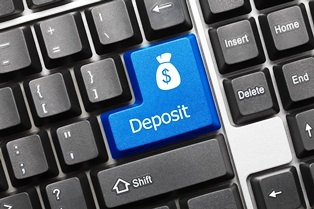 Have a mental impairment that prohibits or complicates the switch from a current paper check method to direct deposit. Were born before May 1, 1921. In making a request for paper checks, you'll need to provide information as to why you're requesting the waiver and an explanation of why receiving benefits through direct deposit would cause undue hardship. However, if you don't meet the qualifications above, it's unlikely the waiver will be granted. The Social Security Disability program is often overrun with applications, and it can often take a year or more for benefit requests to be approved. If you're having trouble getting your rightful benefits, our experienced lawyers can intervene and take over the fight on your behalf. Call us today or fill out the form on this page to set up your consultation with a Social Security attorney. How Long Must I Wait for My Social Security Hearing? Can I be fired while receiving workers' compensation benefits in Florida? Many employees discover their services are no longer needed shortly after they file for workers’ compensation. Many claimants are simply not able to work after an on-the-job injury, and employers may not have the resources to keep the worker on as an employee. While it's not illegal for someone who collects workers’ compensation to be fired or laid off, it's illegal if the termination is a direct result from the claim itself, since this would be considered retaliation. Workers who are injured on the job rely on workers’ compensation benefits for their short-term injury costs, but most are hoping to return to work as soon as they are able. Unfortunately, employers may consider an employee’s recovery period as a convenient time to terminate the worker, since the employee is often too busy with the injury to fight the decision. Do I get to keep my job? Florida's Workers' Compensation Laws don't require an employer to “hold” a worker’s job while he or she recovers from a workplace injury. However, these laws do prohibit an employer from terminating an injured worker if the action is retaliation for filing the workers' compensation claim. Do I get to keep my benefits after termination? In most cases, an employer’s insurer is still responsible for paying temporary partial disability or temporary total disability benefits to an injured employee even if the employee is terminated. If I caused the accident, can my benefits be terminated? Employees are entitled to workers’ compensation benefits even if their own actions were partly or solely to blame for their injuries. If you believe you were terminated because you filed a workers’ compensation claim, you should speak to an attorney as soon as possible. The attorneys at Johnson & Gilbert, P.A. 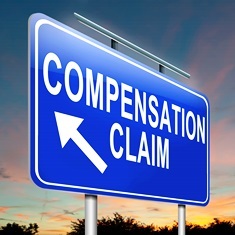 can investigate the connection between your filing a claim and your termination, allowing you to get the fair treatment you deserve. Can I sue if I was injured in an ATV accident in Florida? Accidents involving recreational vehicles differ from car accidents, even when they involve other cars. The victim may have more severe injuries due to the lack of protection in an ATV accident, and the victim may be found liable if he or she was riding in an area where that type of vehicle is restricted. If the rider wasn't following Florida road rules pertaining to ATV operation, he or she can be found negligent, and may not be eligible for injury compensation. With that in mind, it's important to know where and when operators of off-road vehicles may ride. All-terrain vehicle (ATV). Florida classifies an ATV as any motorized off-highway vehicle that travels on three or more tires and is designed for use by a single operator or a single operator and one passenger. In Florida, an ATV may be operated on a public roadway only during the day, if the roadway is unpaved, and the posted speed limit is less than 35 mph. Recreational off-highway vehicle (ROV). Florida law considers an ROV to be a motorized recreational off-highway vehicle under 60 inches in width that travels on four or more non-highway tires, and has non-straddle seating and a steering wheel, such as a motorized go-kart. Like ATVs, these vehicles are forbidden to ride on public streets or highway unless it's during the day on an unpaved road with a speed limit less than 35 mph. Off-highway motorcycle (OHM). An OHM similarly can only be ridden on public roads on an unpaved road with a speed limit less than 35 mph during daylight hours. These vehicles are motorized bikes with a seat or saddle for the rider and travel with not more than two wheels in contact with the ground. It's also illegal to carry a passenger on am OHM unless the vehicle has been specifically designed by the manufacturer to carry both an operator and a single passenger. Low-speed vehicles. Florida laws are more generous regarding the use of low-speed vehicles, which include four-wheeled electric vehicles with top speeds between 20–to– 25 mph. Low-speed vehicles may be operated only on roads where the posted speed limit is 35 mph or less. Operators of low-speed vehicles are required to carry a valid driver’s license and to register and insure their vehicles. Golf carts. Sporting or recreational golf carts may only be operated on public roads with a posted speed limit under 35 mph; roads that are specifically designated for golf cart use; or roads that are part of the State Park Road System (and only if the operator is over 14 years old). We can help you determine who was at fault, whether defects in the ATV manufacturing or design led to the crash, and how much you could be owed for your injury. Contact the injury attorneys at Johnson & Gilbert, P.A. by filling out the quick contact form on this page and scheduling your free case evaluation. Who's Liable for Injuries When Police Chases Lead to Car Accidents? How long must I wait for my Social Security disability hearing? It can be extremely frustrating to wait for the approval of disability benefits that you desperately need. Unfortunately, the Social Security Administration (SSA) estimates that there are over a million people in the U.S. currently doing just that—and claimants in the state of Florida may be waiting between one-to-two years for a disability hearing date. Why Does It Take So Long to Get a Disability Hearing? 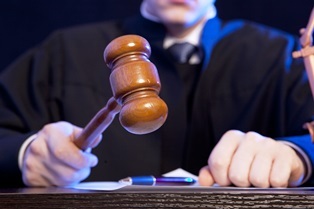 Not only does it take many months to get a hearing, it may also take even longer to get a decision on a benefits case. Over half of all applications received by the SSA are initially denied, making the wait times even longer as applicants appeal the decision. Backlogs. The number of claims waiting for hearings varies from city to city, and may be higher in more densely-populated areas. For example, the average processing time in the Orlando office—which takes applications from field offices in Kissimmee, Lake Mary, Leesburg, and Ocala—is 16 months, compared to an average of 11 months in the Fort Myers office. Administration cutbacks. The SSA’s operating budget has decreased 10 percent since 2010, causing staffing problems that have added an average of 20 days of wait time per claim. Economic congestion. More people apply for disability in times of economic hardship. The SSA must determine which benefits applicants are not only disabled, but also are completely unable to work. Changes in the process. In 2017, SSA implemented new rules intended to streamline the claims process, including removing the special consideration given to a claimant’s treating physician. Relying solely on the opinion of a medical consultant who may only have reviewed a patient’s file can lead to more denials, which increases the backlog if the denials are appealed. There are many things you can do while waiting for your court date, including preparing for your disability hearing for the best chance of success. 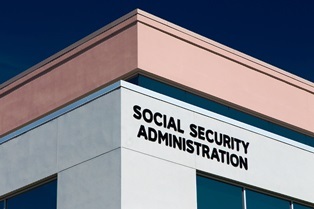 If you are having trouble getting your rightful Social Security benefits, our attorneys can intervene and take over the fight on your behalf. Call us today or fill out the form on this page to set up your consultation with a Social Security attorney. What if injuries suffered on the job prevent me from returning to work? Many workers injured on the job face a difficult choice: live on meager benefits or reenter to the workforce with a debilitating injury. A recent study from the Workers Compensation Research Institute found that as many as 18 percent of workers’ compensation claimants have not experienced a substantial return to work within one year of their accident—and many will never able to return to work in the same capacity as before their injuries. Your employer. Workers often return to work too early or even continue to work after an on-the-job injury because they fear retaliation from an employer. There are many laws that prohibit this practice, so if this is happening to you, you should speak to a workers' compensation attorney as quickly as possible. Company doctors. 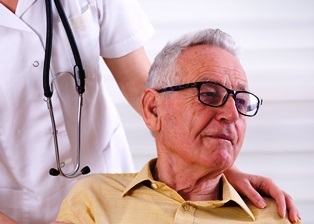 An employer’s doctor has considerable conflict of interest when treating someone who is injured at work. The doctor may be under pressure to clear an injured person for duty before the patient has fully recovered. If you're cleared by a company doctor but aren't ready to return to work, your best option is to seek a second opinion from another doctor who specializes in your specific injury. Your doctor. If your doctor says that you are fit for light duty, you're required to accept the position as long as it works with your limitations. If you refuse light-duty work, your workers' compensation benefits may be discontinued. What Else Can I Do If I'm Unable to Work? If you have been out of work or will be unable to earn a living for a year or more, you may qualify for Social Security disability or other benefit programs. Contact Johnson & Gilbert, P.A. today by filling out the quick contact form on this page to tell us more about your situation. What is subrogation, and how does it affect my car accident case? Subrogation is a legal procedure that usually happens “behind the scenes” in an accident claim. The most common claims that involve subrogation are those that require an insurer to provide uninsured or underinsured motorist (UM) benefits to an injury victim. Once the insurer has paid UM benefits to an insured driver to cover injuries, the insurer has the right to take the at-fault driver to court to get reimbursement for the amount the insurer has paid for the accident. How Does Subrogation Impact a Victim in a Florida Crash Case? Imagine you were injured in a car accident. Although Florida drivers are required to have insurance as part of the state’s no-fault system, the driver who caused the crash doesn't have enough insurance to cover the damages. You make a claim with your insurer under your UM coverage, which is used to make up the difference in your medical bills and accident costs. Next, your UM insurance provider can subrogate the claim, legally suing the at-fault driver to recoup what it has paid for the accident. This claim is done without your active participation, but can involve you if you sue the at-fault driver as well. Responsibility. Insurance companies can only subrogate other parties when their insured clients aren't at fault for the accident. Ability to pay. Many underinsured drivers don't have adequate coverage because of a lack of funds, making it not worth the effort to sue them. An insurer will have to consider whether the at-fault driver has the resources, income, or assets to pay if the lawsuit goes forward. Settlements. If you accepted payment under your UM policy and have been offered a settlement in your accident case against the at-fault motorist, you're required to inform your UM provider in writing. The UM insurer must then decide whether it will agree to the settlement—giving up the right of subrogation against the other driver—or pay the settlement amount and retain the right of subrogation against the at-fault driver. Other insurance sources that made payments in your claim, such as health insurance, MedPay, Medicare, or Medicaid, could also have a legal claim against any settlement you collect from the at-fault party. If you're struggling after a car accident, the injury attorneys at Johnson & Gilbert, P.A. can provide the guidance you need during your injury recovery. Simply fill out the quick contact form on this page today to schedule your free case evaluation. When can my child ride on a motorcycle with me in Florida? While Florida has strict laws regulating when and where children can ride in cars, there are no minimum age requirements for when children may ride as motorcycle passengers. However, there are still some restrictions on passengers to ensure that both the operator and passengers are riding safely. 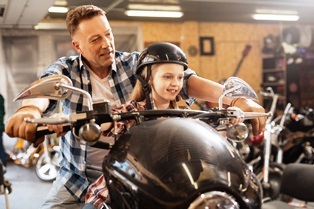 Many parents who ride motorcycles regularly impress the importance of safe riding onto their children, while others may be unaware of the level of risk when riding with a minor. Operators have been charged with traffic violations, or offenses such as endangering a minor, depending on the manner in which they were riding. Helmet use. Florida motorcycle helmet law allows riders over 21 the option of not wearing a helmet as long as the he or she carries at least $10,000 in medical insurance. But if a passenger is under 21, he or she is required to wear a helmet at all times. Type of motorcycle. Florida laws prohibit carrying a passenger on motorcycles that don't have a dedicated passenger seat and passenger footrests. The seat must be able to hold both the operator and passenger without changing the operator’s normal riding position. If the passenger’s feet cannot reach the foot pegs, this can compromise the balance of the bike, and the operator may have difficulty claiming compensation after an accident. Safety precautions. Children should wear the same protective gear that is recommended for bike operators, including helmets and eyewear. The bike should be properly balanced and adjusted to carry passengers, and the rider should know how to adjust his or her handling technique to compensate for the added weight. If your child is riding in a carrier that has been secured to the back seat of the bike, make sure that it has been installed according to the manufacturer’s directions and has been properly tested before your child’s first ride. If you were involved in a motorcycle accident while riding with a minor, Johnson & Gilbert, P.A. can give you the guidance you need while you recover from your injuries. Simply fill out the quick contact form on this page today to schedule your free case evaluation.